Fugitive625 | Welcome to Fugitive625! Please watch this space for all the latest news & updates about the upcoming drama 'Fugitive' (Runaway) starring Rain, Lee Na Young, Lee Jung Jin, Daniel Henney, & Yoon Jin Seo! Now that “Fugitive Plan B” has come to an end, and all the eps have been subbed, FUGITIVE625 is no longer an active blog. HOWEVER, we will be posting articles related to the drama from time to time since FUGITIVE is scheduled to air in other countries in 2011. Please follow us on our Facebook & Twitter to be notified of any future updates! Thanks so much to everyone involved in this blog as well as our site visitors, it’s truly been a pleasure! We will be keeping the blog opened for archiving & posting another Open Thread so that everyone can stay on touch! Catch up on the past episodes of “The Fugitive: Plan B ” ! You can find our list of links to watch streaming, online, & downloads [HERE], or by visiting our Episodes category [HERE]. What was your favorite moment of “The Fugitive: Plan B” drama series? We look fwd to hearing from you! On April 8th, Rain reportedly filed a lawsuit against drama production company ‘D‘ for unpaid wages from his stint with KBS’s “Fugitive: Plan B“. 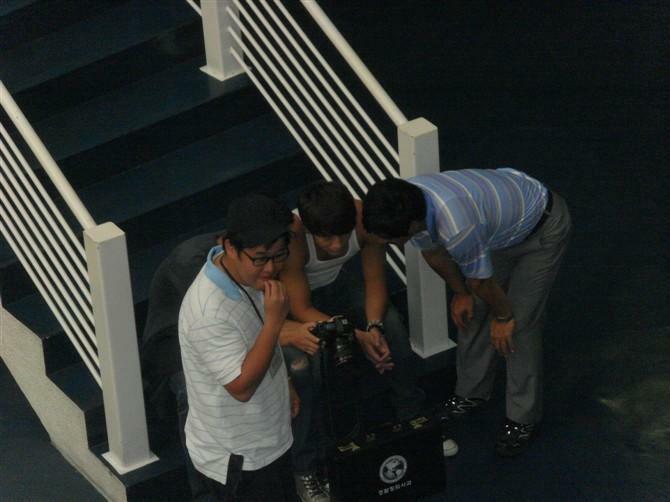 The star alleges that the company owes him $396,000 USD for his work with the drama. Last December, co-star Lee Na Young also filed a lawsuit against the production company for not getting paid for her appearance in the first episode. 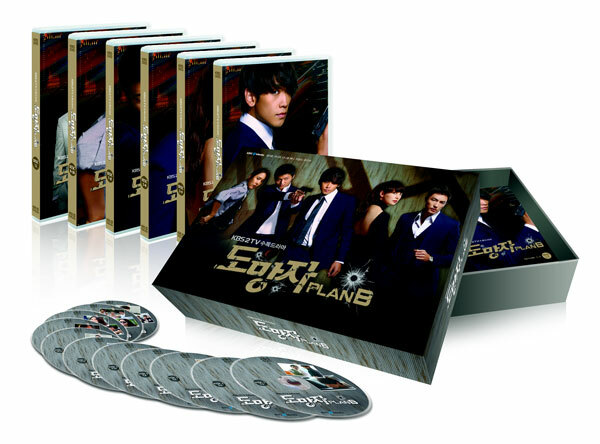 The pre-selling of DVD of KBS 2TV drama ‘The Fugitive Plan B’ starring Rain and ‘Lee Na Young’, has begun. It will be subtitled in English. Its products will be on the market on March 25, 2011. The domestic shipping and handling fee is free. Brief translation by rain bird. Mrowr. This is an Lee-Jung-jin-looking-mighty-pretty post, so I may just run out of brainpower halfway through it. Something about this man just makes my brain shut off, leaving me with just enough energy to drool. Um, figuratively speaking. So here we have a photo shoot for High Cut magazine, in which Lee Jung-jin is lounging around, cavorting on a bed, baring chest and belly and boxer shorts. Also looking mighty carefree and happy, which is like a cheap shot to get us to Awww over him given how tortured and hurty he was in his last drama, Runaway Plan B. There there, Mr. Hot Scruffy Cop, Rain will make it better. Actress Lee Na Young and actor Daniel Henney, who recently starred together in KBS 2TV drama, ‘Fugitive‘, were recently caught up in rumors speculating them to be dating. On January 1st, Sports Seoul released an article claiming that the two developed feelings for one another after filming for their drama, “Fugitive”, and became a couple. A series of pictures claiming to be the scene of their dates were included with the article. We would like to inform you that the article regarding Lee Na Young released this morning is not true. We have decided to release an official statement from the agency because we feel that a lot were concerned over the issue. The article consist of speculation, and the pictures included were of Lee Na Young with various other staff members on the film set. Through manipulated photos, the journalist claims that they are in a relationship, but we would like to clarify that they are not. They have not met even once after the end of the drama, and do not harbor feelings beyond that of fellow actors. We would like to genuinely apologize for causing such concern. The article is not true, and we hope fans are not confused because of this. Our legal team is currently handling the matter, and we will be aggressively taking action against the defamation of Lee Na Young. Thank you to all of the fans that support her, and we will greet you once more in 2011.